Florida has one of the largest concentration of sharks in the world. There are sharks present year-round which makes Florida one of the best places to dive with sharks in the world. Here is a list of some of the sharks you will see on a trip with Florida Shark Diving! Tigers are large sharks reaching up to 18′ and weighing over 3,000lbs. They are heavy bodied and have stripes coming down their sides and across their fins. 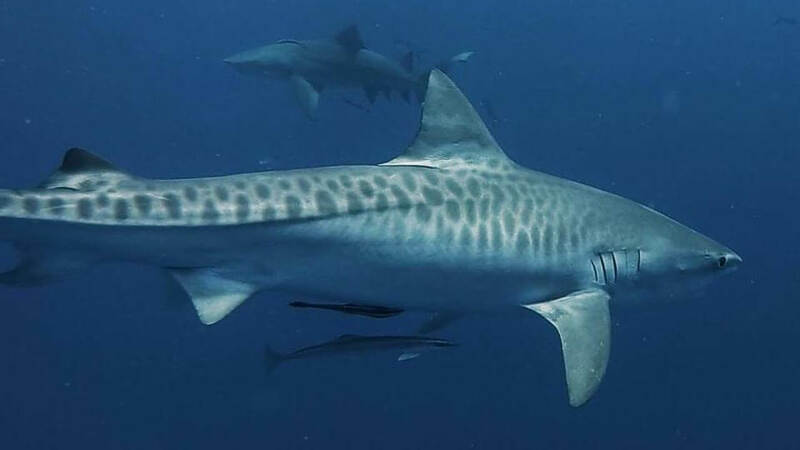 Tiger sharks can be found on both shallow reefs along with oceanic offshore waters. Tigers are the second largest predatory fish in the ocean and are deliberate swimmers capable of high bursts of speed.  They often approach divers with caution but can also be very bold. Tiger Sharks hunt and scavenge on a number of prey items: fish, birds, squid, whales, dolphin, and sea turtles. Great Hammerheads are the largest of the Hammerhead species and are one of the largest sharks in the ocean reaching 20′ in length. There are only a few places in the world you can see these sharks and South Florida is one of them. Great Hammers main prey items include: other sharks, stingrays, and fish. 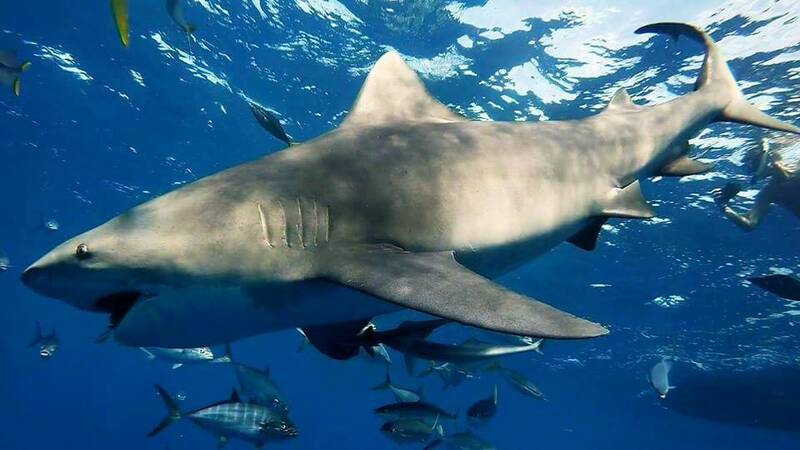 Bull Sharks are one of the most aggressive sharks in the ocean and are perhaps the worlds most dangerous sharks. Bulls are at home in both offshore and inshore water along with freshwater. Bull Sharks are big heavy bodied sharks that are often found in packs. They are sometimes wary of divers but if food is present can become very aggressive. They range from 5-14′ and can weigh over 1,500 pounds. 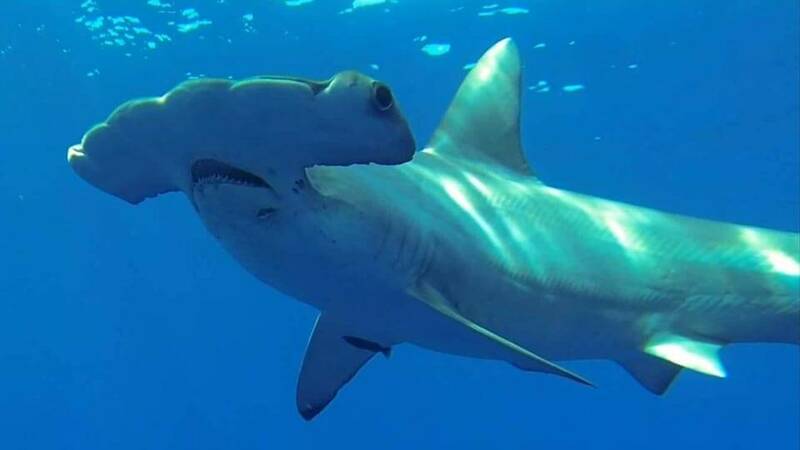 Scalloped Hammerheads are the second largest Hammerhead species. 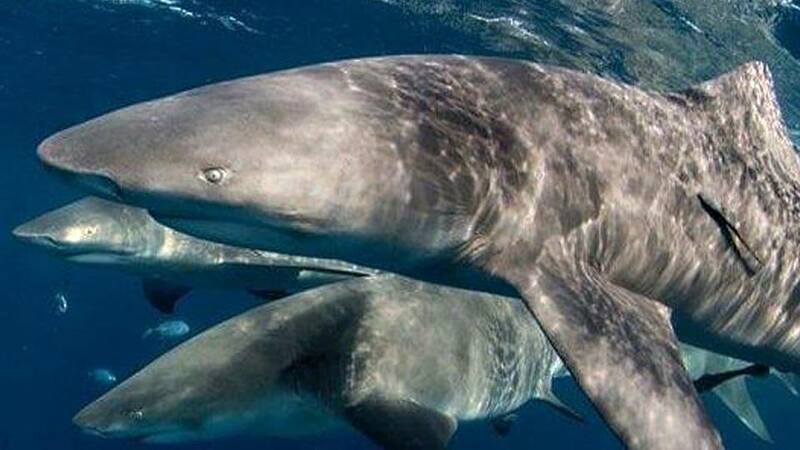 They are a big shark that averages between 6′ – 10′. South Florida is one of the only places you can see these sharks consistently and they are one of our main sharks. Scalloped Hammers are fast and can turn on a dime. They feed mostly on fish, stingrays, and smaller sharks. Lemon Sharks are one of the most abundant large sharks in Florida waters. Lemons are big sharks that prefer inshore shallow waters. They are often seen on shallow flats and shallow reefs on the edge of the Gulf Stream. Lemon Sharks are somewhat docile but are capable of large bursts of speed and aggression. These sharks average around 4′ – 7′ and can weigh in at 500 lbs. Sandbar Sharks are one of our most commonly seen sharks. 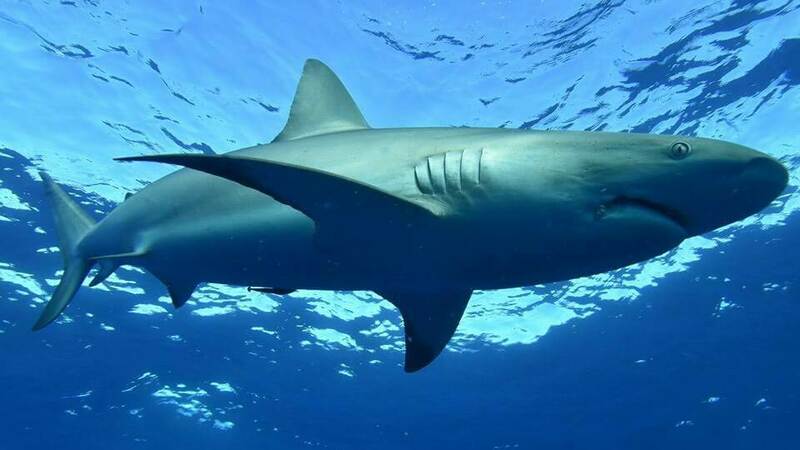 They are a large inshore species of sharks but can also be found offshore in deeper waters. They are usually found in packs and are built for speed and power. Sandbar Sharks have large dorsal and pectoral fins. They feed mostly on fish, squid, and crustaceans. 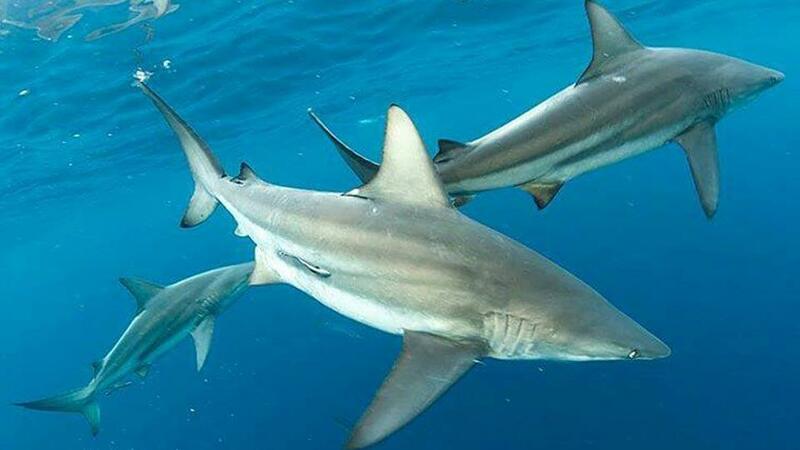 Black Tip Sharks are inshore hunters that frequent the shallow reefs and flats around Florida. 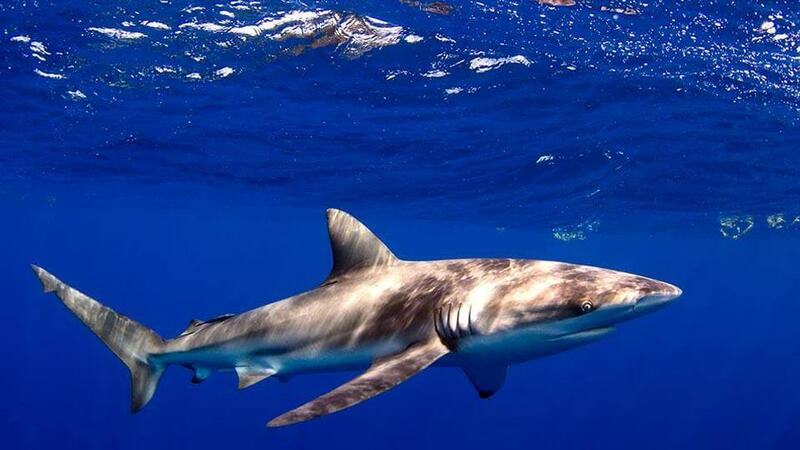 Black Tips are fast energetic sharks capable of fast speeds and jumping capabilities when in pursuit of prey. 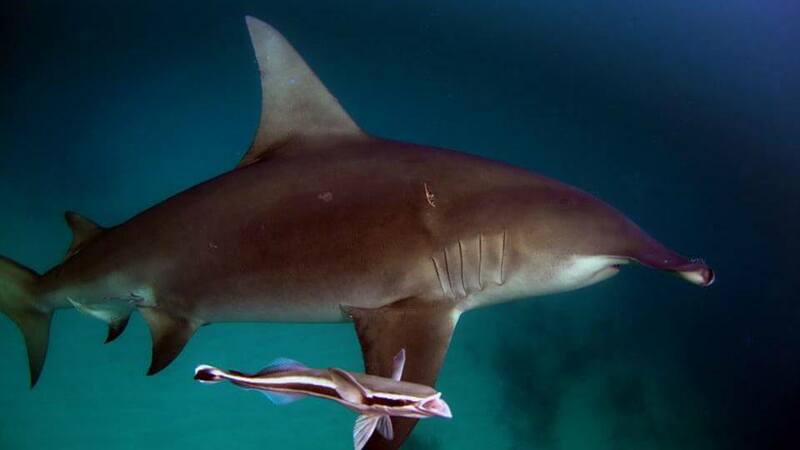 Black Tips feed on a variety of prey including other smaller sharks and fish. They average 4-7′ and can weigh in at 350lbs. 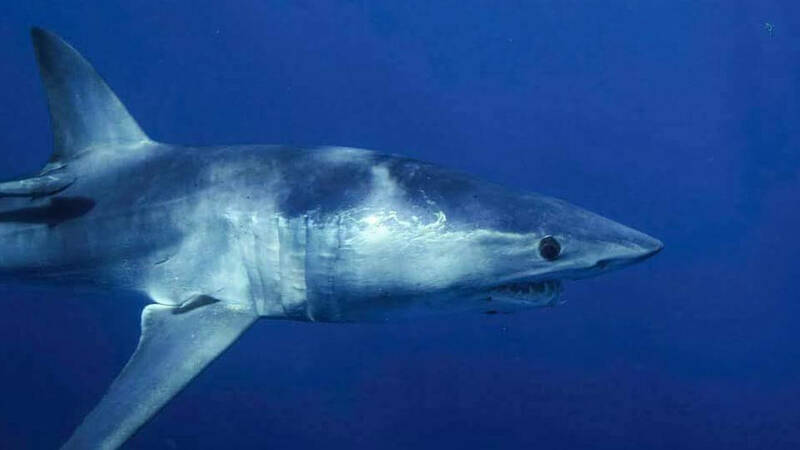 Mako Sharks are one of the most aggressive shark species. They live and hunt almost exclusively in offshore waters miles from shore. Makos are capable of large bursts and sustained speeds of over 40 mph. 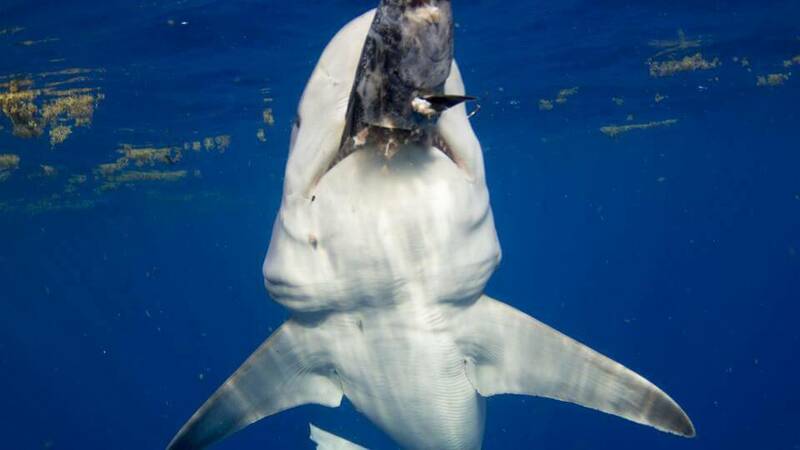 Makos feed on a variety of prey including tuna, swordfish, other sharks, and dolphin. Here in Florida, they are encountered in the deep waters of the Gulfstream. Makos can grow to over 12′ and weigh over 1,200 lbs. 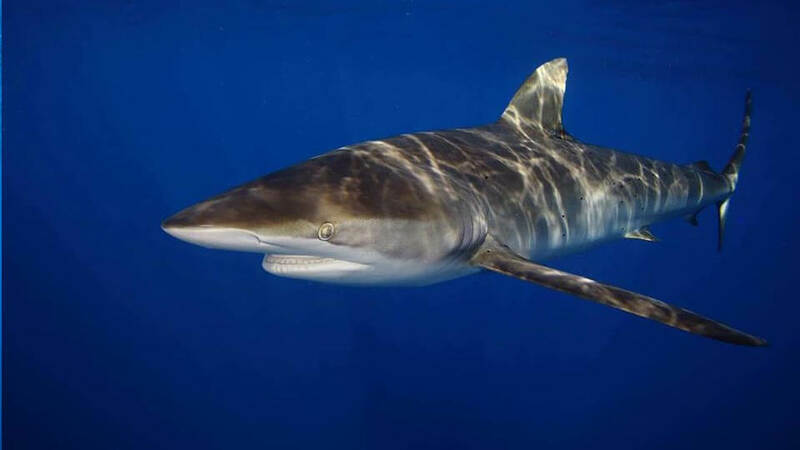 Dusky Sharks are large requiem sharks that live in both deep offshore and shallow inshore waters. Duskies are highly migratory and often cover large distances in their lifetimes. Here in Florida, they are often seen on inshore reefs and in deep Gulf Stream waters. Duskies feed mostly on fish and other smaller sharks. They average anywhere from 5′ – 12′ and can weigh close to 1,000lbs. Silky Sharks are a true offshore shark. Silkys will rarely see water less then 100′ their entire lives. Silky Sharks are expert hunters and are constantly on the hunt. They are sleek sharks build for speed and long travels throughout the oceans. Silkys are one of the main sharks we see and one of our favorite because they are fearless in general and always put on a great show for our guests.